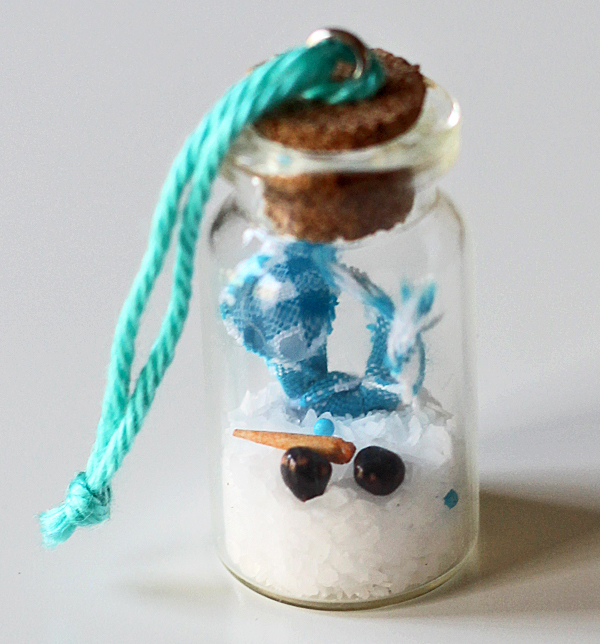 Melted snowman ornaments aren’t really a new thing – but when my daughter wanted me to make her one I knew I had to put my own spin on it. And I really didn’t want to have to go buy stuff to make it (like clear ornaments) so I came up with this quick craft idea – and it turned out so cute that I wanted to share it with you! 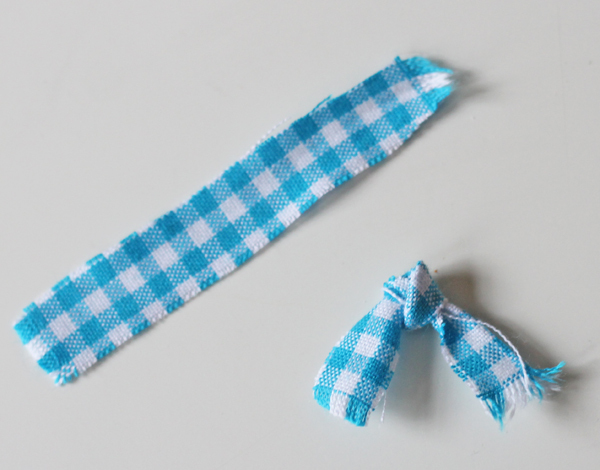 I stared with a tiny scrap of fabric, about 1/2 inch wide by 6 inches long. 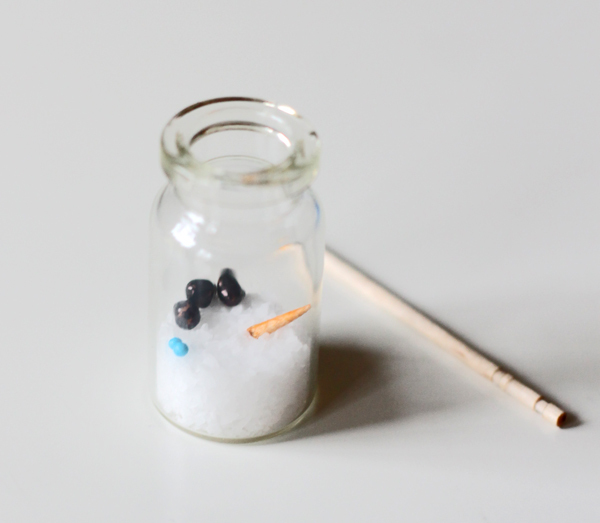 I frayed the ends and tied it in the middle – hello tiny snowman scarf! 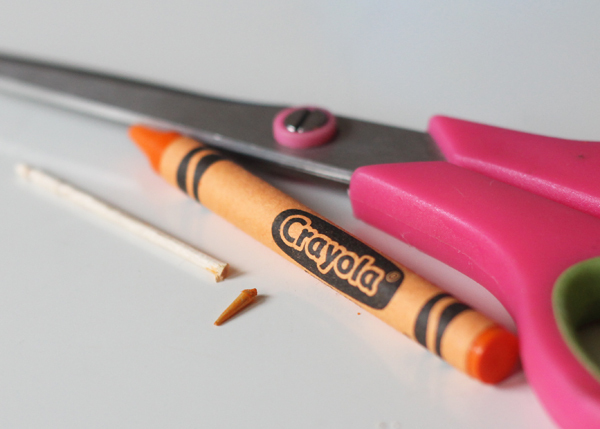 The nose was the tricky part for me – so I colored the end of a toothpick with an orange crayon. Then I cut off the end and colored the cut part. 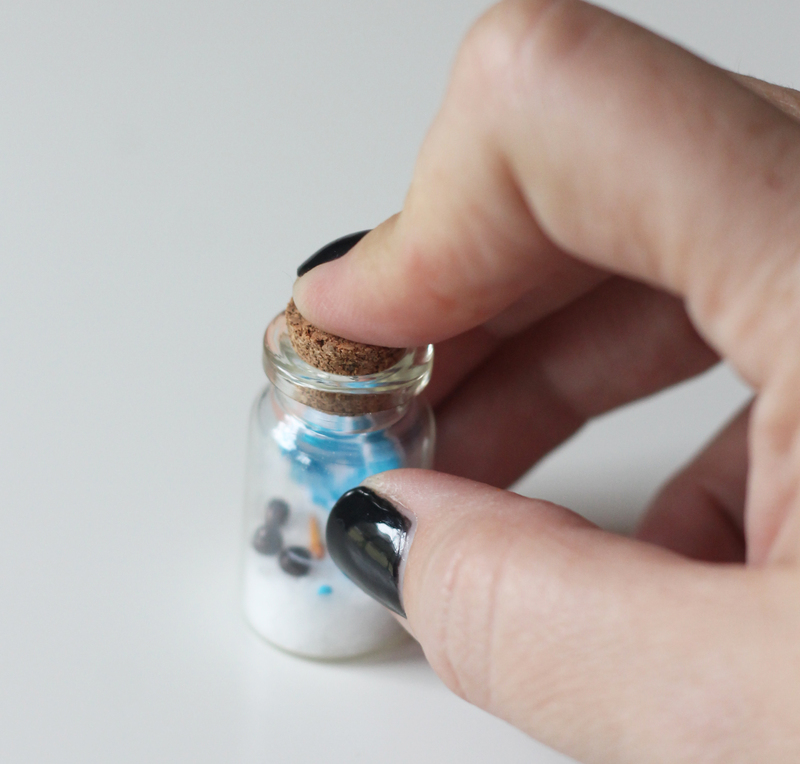 In a small apothecary jar (that comes with a cork), I put in about a tablespoon of salt, three black Nerds (but you could also use pepper corns) as the buttons and two blue sprinkles (for the eyes) and the nose. Then I used the toothpick to put in the scarf. Then I pushed the cork in nice and secure. Then I added a tiny eye hook at the top, just by screwing it in by hand. 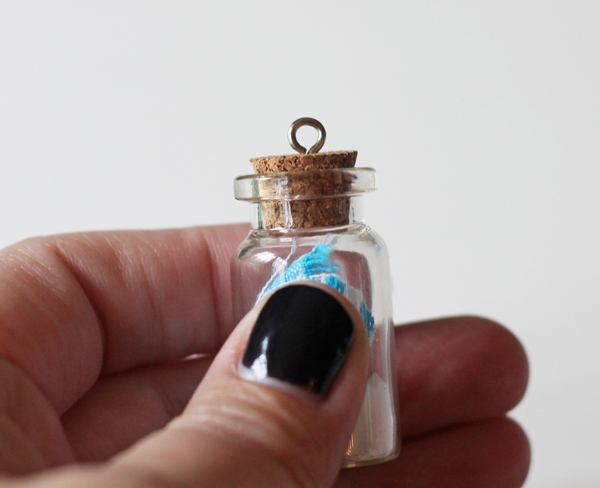 It’s super easy and holds really well in the cork. Then I added a little string and it’s ready to hang! 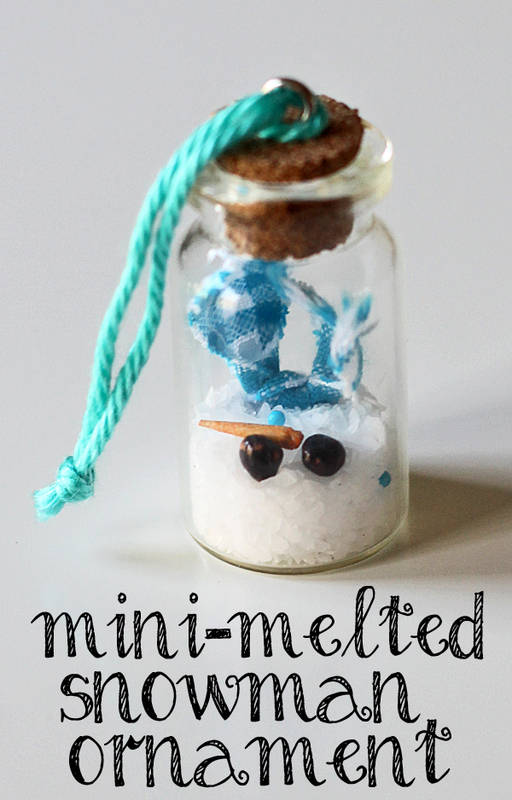 My daughter loves her mini-melted snowman ornament – and I love how they turned out! 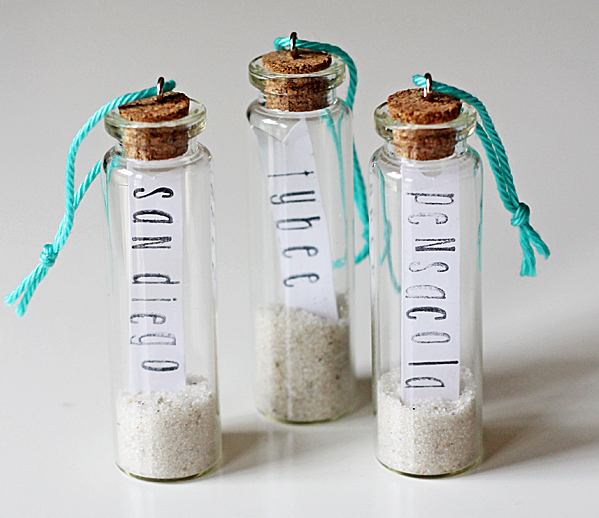 If you like this idea, you might also like my vacation ornaments using sand from the beach. Adorable! Where might one find the little jars? I ordered from amazon. They had little hangers too! This is sooo cute. I give each of my grandchildren and great- grandchildren an ornament every year for Christmas (there are 23 of them).This will be the one for this year! Oh yea! That makes me so happy Sandi 🙂 Good luck and Merry Christmas! OOOH! I have some smaller round glass ball ornaments that have seen better days. Once the color is removed, their new life will be melted snowmen! Thank you so much for the idea! Really excellent!